2015 is the year of amazing movie sequels and comebacks. Fantastic Four, Mission Impossible, Fast and the Furious are some of the exciting releases to watch out for. Now, ranked as one of the most highly anticipated movies of the year, Steven Spielberg is back with the 4th instalment of the Jurassic Park Series – the Jurassic World. After the huge success of Guardians of the Galaxy, Chris Pratt begins another cool stint as Owen Grady, a Velociraptor trainer in the Jurassic Park. Jurassic Park reopens as Jurassic World on Isla Nubar with new genetically bred set of dinosaurs. InGen unveils a new dinosaur called the Indominus Rex – a mix of DNA from a variety of predatory dinosaurs, as well as, some present-day animals. Before its release to the public, Owen and Claire Dearing, Jurassic Worlds’s operation manager, are assigned to observe its behaviour. However, unlike the other dinosaurs, the Indominus Rex is put to isolation, hence, making it unsociable and dangerous. 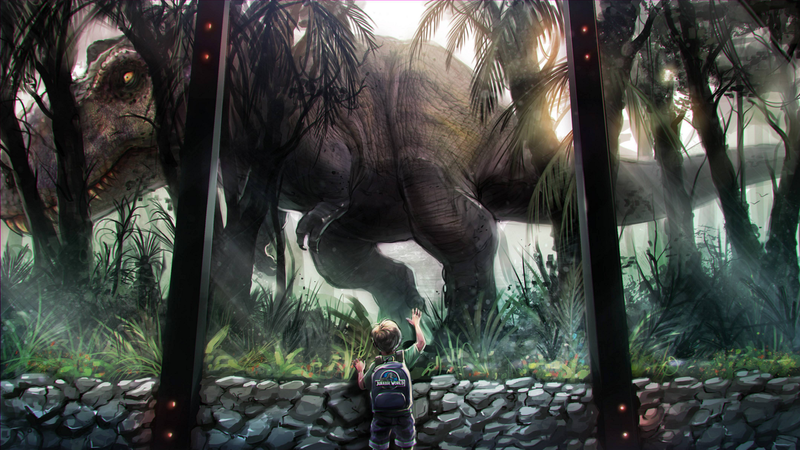 On the day of introducing the Indominus Rex to the public, Owen and Claire discover that the dinosaur has escaped. InGen runs after its trail but the dinosaur is highly intelligent, killing its pursuers. With danger looming over the lives of hundreds of theme park visitor’s, will Owen Grady be able to put a stop to the Indominus Rex? Packed with stunning graphics, an hour and a half of action that will keep you at the edge of your seat, Jurassic World takes the viewers to an exciting roller-coaster ride in the world of dinosaurs. Despite of many set-backs to the production, Jurassic World takes the movie industry by storm, opening with an overwhelming $500 Million. The Jurassic World will blow your mind away with its realistic environment and masterfully graphically generated dinosaurs. Chris Pratt fulfils his promise of delivering action with the flair of humour. Not to mention, the amazing advertisement effort of the franchise in the internet. Brilliant cast, brilliant graphics, brilliant masterpiece – take a journey to the amazing world of the Jurassic and be blown away.